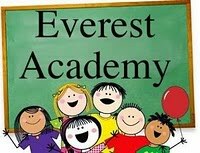 When: March 5, 2018 1:00 - 2:00 p.m.
RSVP: Please RSVP to Deb Spradlin at everestacademy1@gmail.com or (205) 433-9828 no later than Feb. 26, 2018. If you are homeschooling a highschooler, please plan to also attend the "Homeschooling a Highschooler" workshop as well. Please note in your RSVP that you are want to attend both workshops.